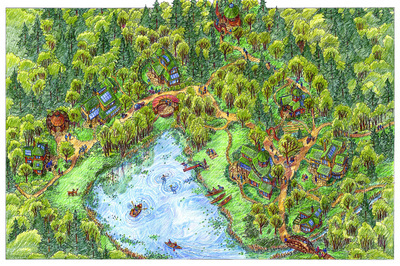 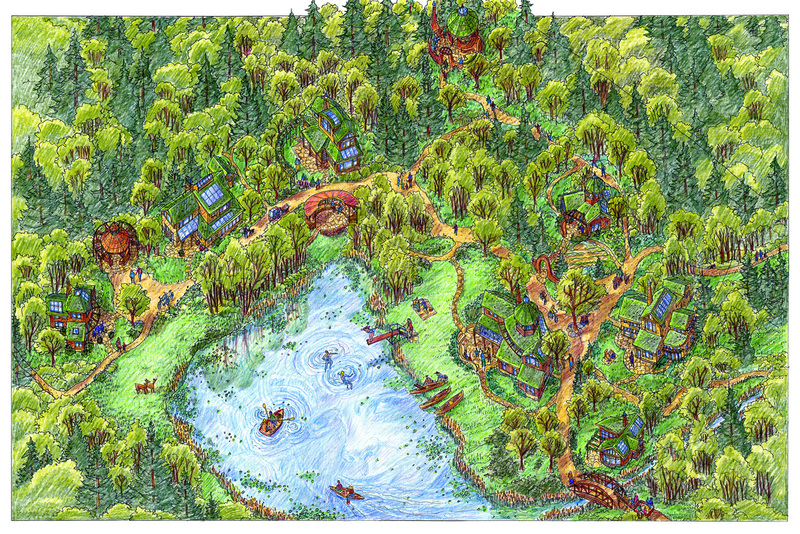 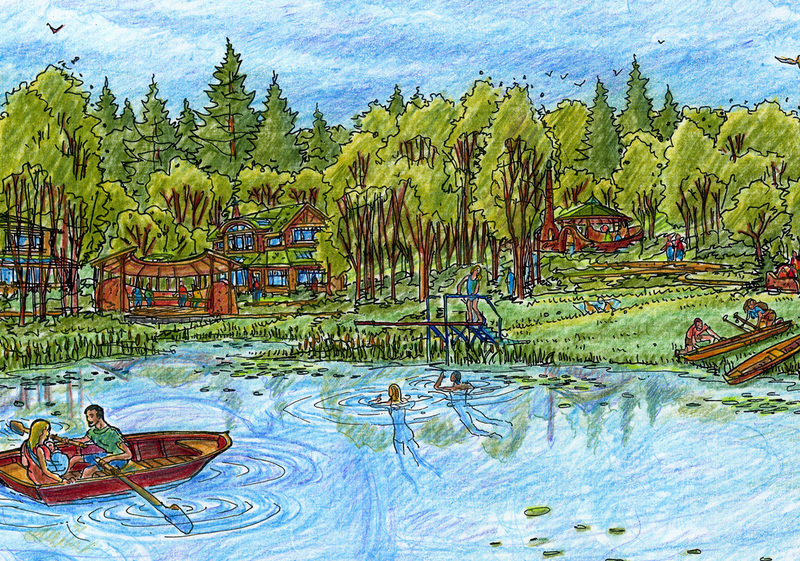 This project design has been developed in collaboration with Brandy Gallager and Elke Cole of OUR EcoVillage. 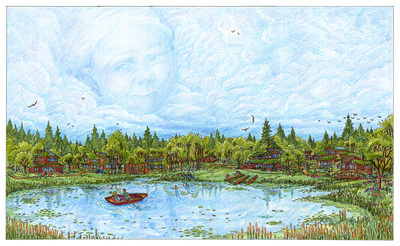 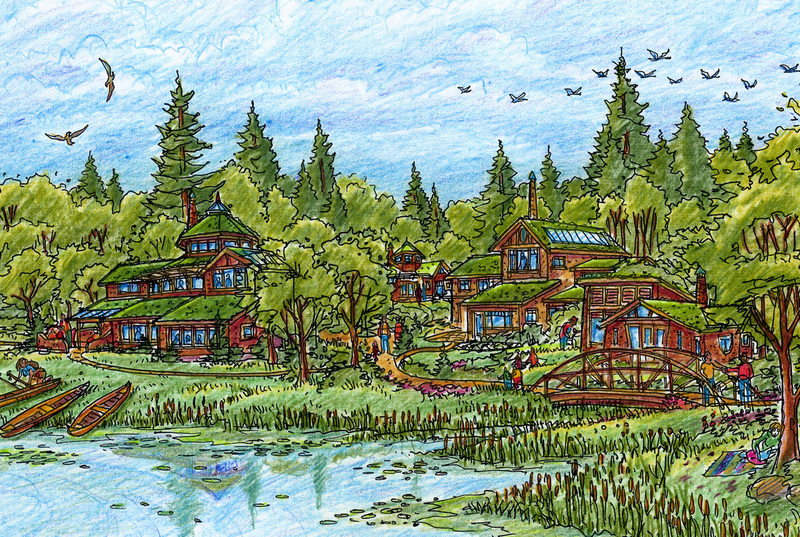 It expands the present infrastructure of this leading Canadian EcoVillage by providing a new residential quarter for the director and founder's family, numerous staff families, and guests. 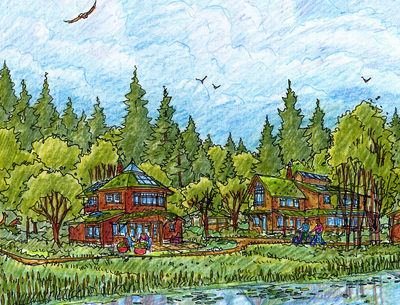 Set on 25 acres of verdant hills, this will be an outstanding example of a residential village design that incorporates many community features such as a common house with many different kinds of uses and spaces. There will also be diverse types of gathering places including sacred, teaching, and social spaces, gardens, gateways, and many shared pathways. 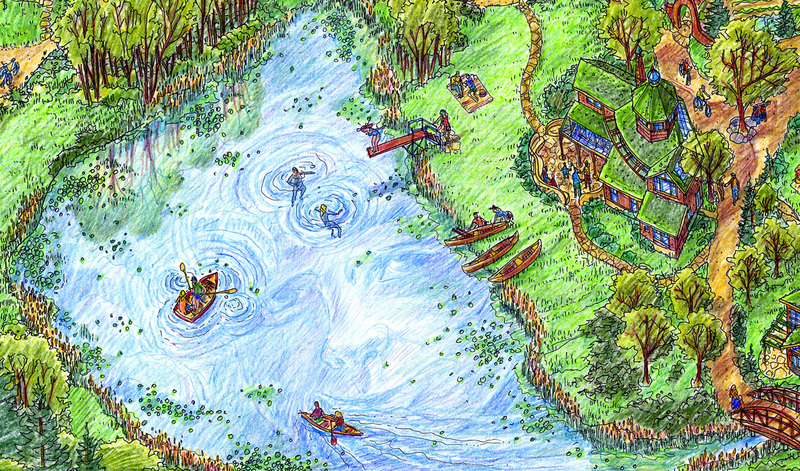 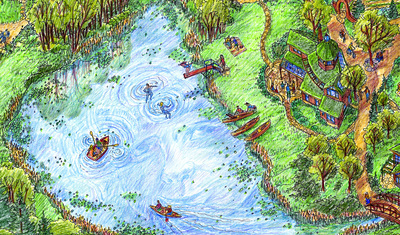 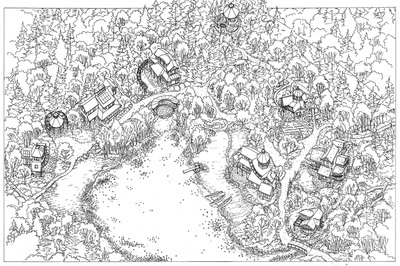 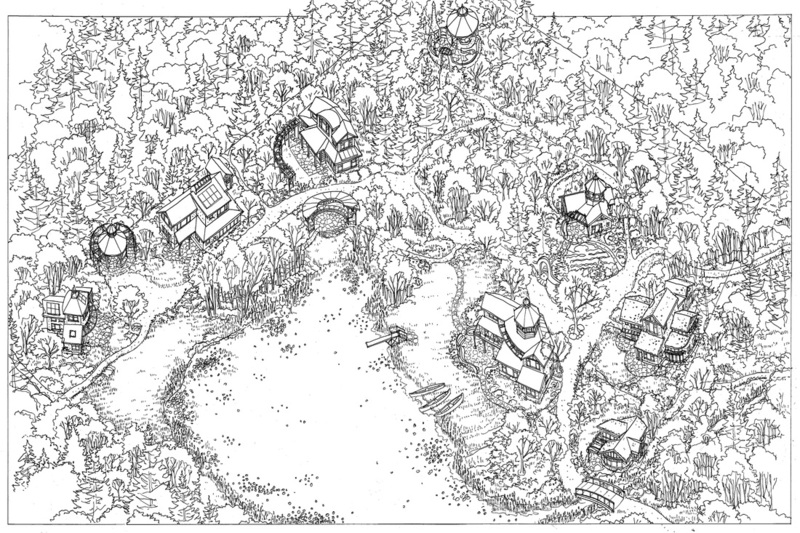 The design features numerous individual houses, with all buildings carefully composed around the perimeter of the small lake in the center of the site. 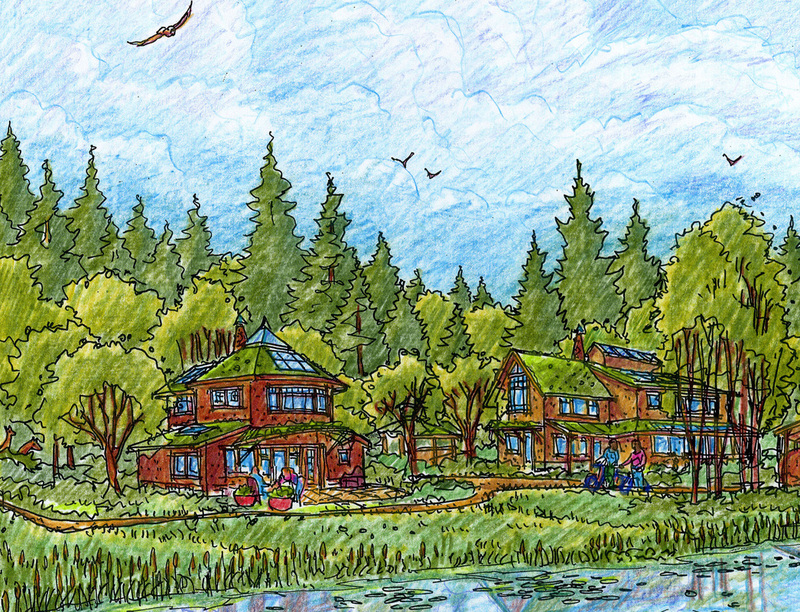 Each building will be a high-performance natural building, incorporating cob, straw bale, straw clay, passive and active solar design, as well as water catchment, greywater, and composting systems. 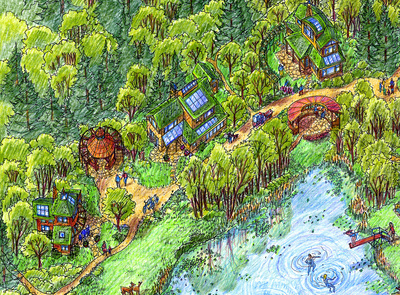 These are two of the major buildings at OUR Ecovillage today. 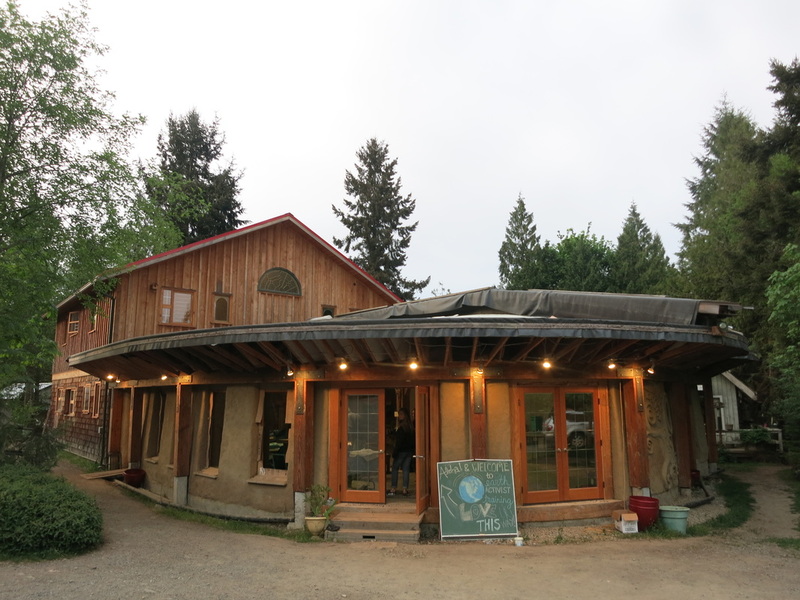 While we created their aerial master plan view, we also helped design "The Eatery", (shown on the left), perhaps the largest community building built using cob construction in North America. 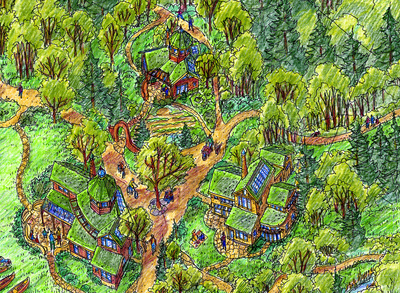 The design emerged during a facilitated dialogue and drawing session at the immediate site of the new building project. 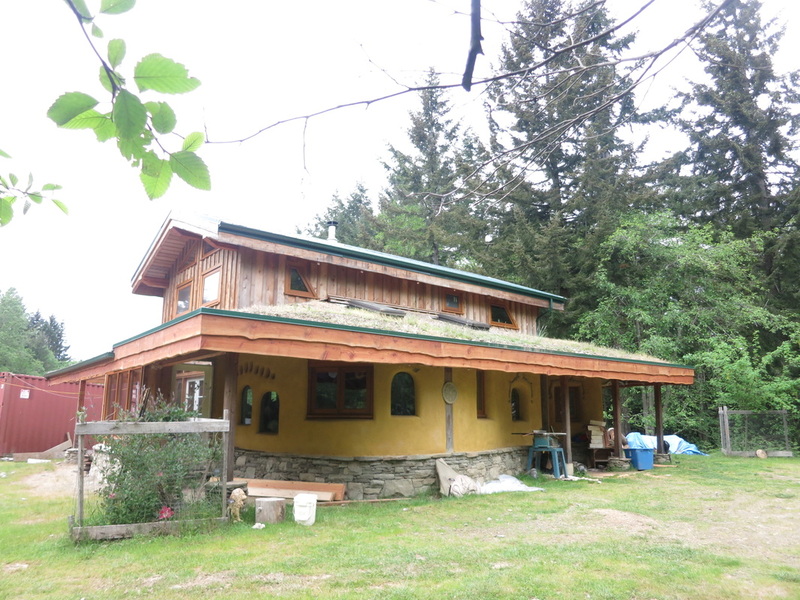 The home (on the right) is a hybrid of cob, strawbale, and strawclay. This home design was featured in our aerial view, and then designed and built by others later.